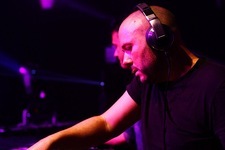 Antonio Donà a.k.a. 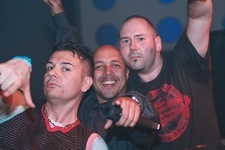 Tuneboy was born in Bologna, Italy. At the beginning of the Nineties, Antonio bought some equipment, a couple of records and started practising. 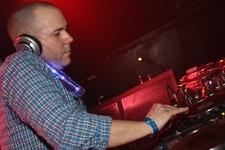 His natural talent emerged quickly: in 1995 he produced his debut single titled 'Integrated' under the alias Wide World. Just one year later, Antonio gave his first live performance at the legendary Cocoricò club in Riccione, Italy. In 2000, Antonio joined the Alternative Sound Planet production team where he met Cristiano Giusberti a.k.a. Technoboy. Together they became the pioneers of a new energetic sound today known as Hardstyle. 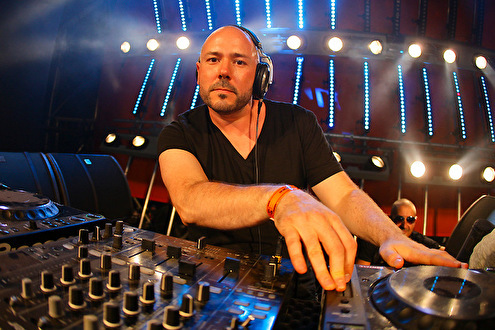 Antonio has produced under countless aliases such as HARDSTYLE MASTERZ, TECHNOBOY, K-TRAXX, TUNEBOY, TNT, THE KGB'S, 2 BEST ENEMIES, DARK OSCILLATORS and BUILDER. 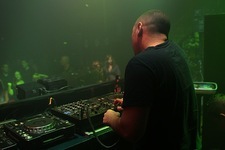 His tracks are released on Hardstyle's top international record labels: TITANIC RECORDS, BLQ RECORDS and DANCE POLLUTION. 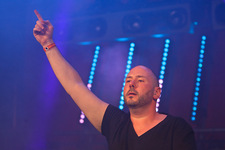 Antonio became the man behind one of the most successful projects Hardstyle has ever known: Tuneboy. This project has always been a special one: he put his heart, soul and passion into Tuneboy. The hit track 'Housensation' was the first of a string of successes. Dancefloor fillers like 'Demolition', 'Sexbusters', and 'I Will Growl' followed and turned on hardstyle lovers all over the world. In 2008, Antonio decided to drop out of the studio more often and tune in to where all the magic happens: the dancefloor. 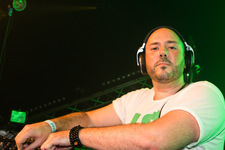 In 2008 he brought a CD map filled with his biggest productions to Holland and stepped into the DJ booth at Q-BASE. 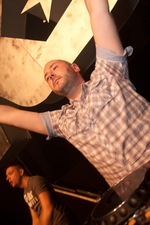 As Tuneboy he played a memorable set that made thousands of hands reach for the sky and for more of his music. 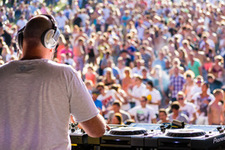 Parties like Qlimax, Defqon, X-Qlusive, In Qontrol, Decibel, HardBass, Tomorrowland, Dance Valley, Black, Q-Base followed. 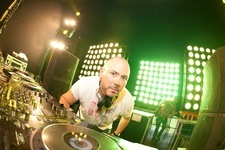 As well as performing worldwide, Antonio is still producing high quality hardstyle tracks. To date, he has produced over 500 tracks supported by the biggest international names on the scene. Tuneboy is also 50% of TNT a.k.a. 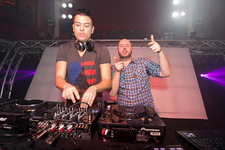 Technoboy 'N' Tuneboy. Antonio Donà heeft vanaf het prille begin een enorme impact gehad op de hardstylescene en draait nog steeds mee in de top. Met z'n complete discografie kun je rustig je huis behangen: het aantal releases dat op zijn naam staat nadert de drie nullen. Als Tuneboy heeft hij ontdekt dat hij niet slechts een producer in hart en nieren is, maar ook een DJ. Partyflock sprak openhartig met Antonio, het resultaat daarvan lees je hier. TNT Also Known As Technoboy and Tuneboy Are Wanted By The L.A. Police Department!! Eindelijk issie zelf ook gaan draaien.­ Topper! Absolutely fantastic!! My absolute hero!! Tuneboy is ECHT HELEMAAL GEWELDIG! !SUPERSET GEDRAAID OP KNOCKOUT!!! Heerlijk gedraait op Knock-Out Super ! man you rocked the place last saturday just like you always do ..
was tuneboy niet J. Goma? Ja, totdat hij het te commercieel vond worden een hele tijd geleden. Great set @­ Q-base, but I think you knew it that night already, cause the crowd went F*­ck*­ng grazy , including me! Net gehoord in Time out (zonder Technoboy) maar ging er lekker op! You did it again yesterday at First Match, really f*­ck*­ng great set! Wat een held!! Gruwelijke Classic set op Q-base!! Master Producer ( s ) ! gaat 'm weer zien op euphoria hoop dat die heel hard gaat knallen!